You will receive the PREMIUM Aftermarket metal framed keyring remote Not the plastic original. 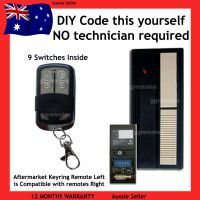 3 screws hold this together, no more battery falling out or cover breaking! CRX-1 CRX-2 UHF AM stand-along receivers. Disclaimer: All pictures contained within our listings are for illustration purposes only. 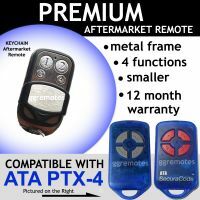 At no time are we pertaining to represent any organisation or endorsement in any manner Aftermarket remote and not an original ATA product, Not produced or manufactured by ATA. 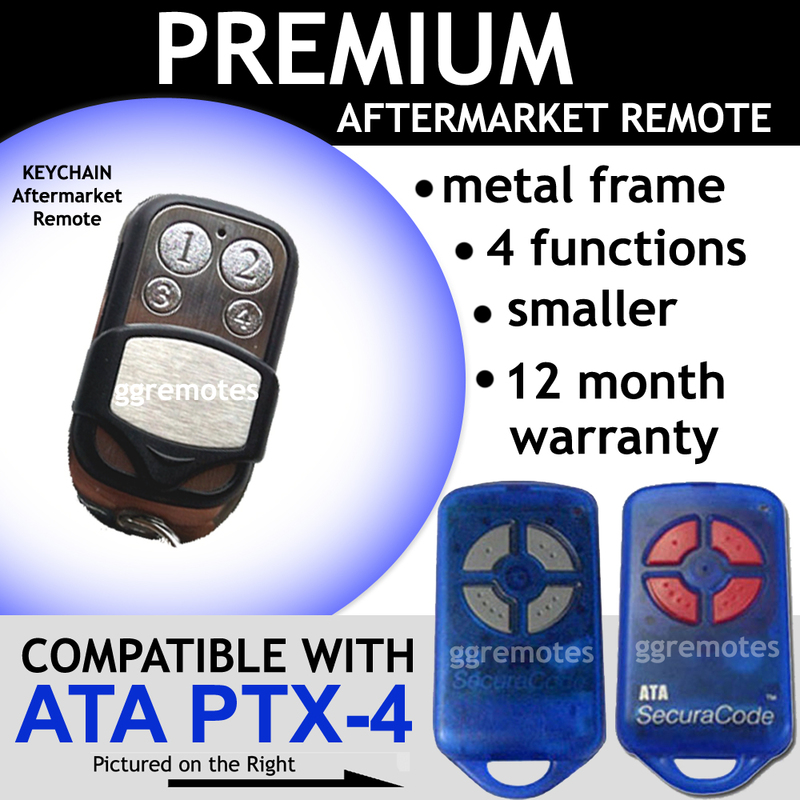 © 2017 Garage Gate Remotes - All rights reserved.